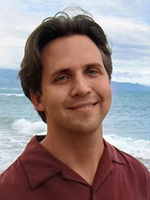 Dr. Shaw joined Ohana Hale Chiropractic in 2010 when he and his family moved to Maui. He had practiced in Calgary, Canada for 25 years and owned a large multi-disciplinary Wellness Center. Moving to Maui offered him and his family exciting new opportunities. He enjoys and remains committed in helping people regain their health through a natural Chiropractic approach. 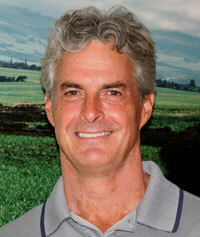 The team is superb and Dr. Shaw loves the caring and relaxing atmosphere of Ohana Hale Chiropractic. Dr. Shaw is also very dedicated to his healthy and active lifestyle, which includes windsurfing, kiting, SUP, and working out. Thanks for visiting our site. I look forward to meeting you in person and learning how we may be of service to you. Give our Kahului chiropractic office a call, or email me using the link below and let’s arrange a time to explore your options. Sessions with John are transformational, utilizing a powerful combination of healing modalities that may include: Acupuncture, Tuina Massage, Foot Reflexology, Chinese Herbology, Nutrition, Medical Qigong, Reiki, Shamanic Healing and Drumming, Crystal Singing Bowl Therapy, and Aroma Acupoint Therapy. 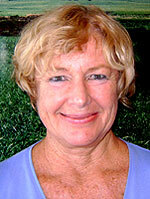 Practiced massage therapy in conjunction with Dr. Crag Wagstaff N.D. at a Naturopathic clinic in Kelowna, B.C. Co-owned and operated “The Bodyworks” a yoga and fitness studio. Sports Massage and Cumulative Trauma Disorder: – Athletes especially deal with repetitive strains and sprains causing scar tissue to develop in the soft tissue. Restrictions of movement and painful nerve entrapments such as “sciatica” are the result. – Use of specialized techniques i.e. : Repetitive Use Injury Technique R.U.I.T.and Active Release Techniques A.R.T.- considered the “gold standard” for soft tissue management, are used to clear scar tissue making tissue more elastic and increasing range of motion. *These techniques are not only used for athletes. Any profession or activity where repetitive shortening of muscle occurs such as extensive computer use will benefit from these methods. My massage education began in 2004 at a Buddhist temple in Bangkok, Thailand, where I earned my first massage therapist license. My traditional Thai Massage training is felt in the healing effects of my Deep tissue massage. I married and immigranted to Maui in 2013. Wishing to continue my career I attended the Maui Academy of Healing Arts, receiving my Hawaii massage license in 2015. Although my specialty is Deep tissue massage, I also am skilled in other modalities which include: Swedish, Thai massage, Shiatsu, Hot stone, Cupping, and reflexology. I am available full time Monday-Friday from 8-6:30pm at Ohana Hale Chiropractic Kahului. I look forward to working with you. Call 808-276-5362 to schedule your appointment.